Any doubts over Arsene Wenger’s future at the Emirates must surely have been laid to rest after the Gunner’s abject defeat away to 16th-placed Crystal Palace on Monday night. Despite being afforded with 72% possession overall, Arsenal lacked creativity and organisation throughout the contest, looking a far cry from a team that went into the contest still very much in contention for a Champions League spot. 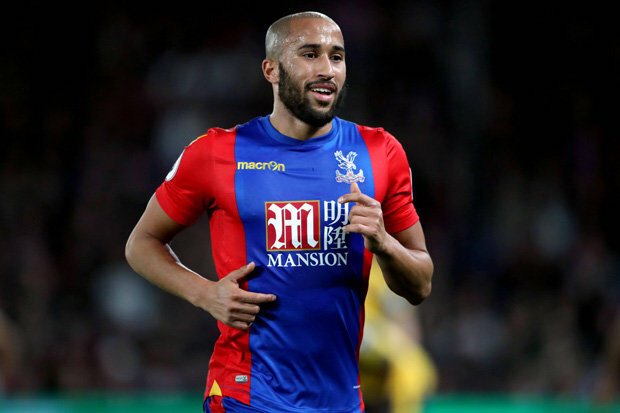 When Andros Townsend found the net on 17 minutes following an admittedly brilliant Palace team move, even the most wizened Gunners fans had to admit it was well deserved by the home side. It was Arsenal’s complete capitulation in the second half, however, that will be seen as inexcusable to Gunners fans. After Yohan Cabaye doubled the Eagles’ lead on 63 minutes, Arsene Wenger’s side looked dejected, effectively admitting defeat even before Luka Milivojevic fired home from the penalty spot five minutes later after Martinez unnecessarily brought down Townsend. Not only did the Gunners look fragile at the back – no doubt due in part to the continued absence of skipper Laurent Koscielny – they also offered very little going forward. Despite boasting the greatest star power on the field, Arsenal’s attacking three of Theo Walcott, Alexis Sanchez and Danny Welbeck failed to find a shot on target between them in the second stanza. Stand-in captain Walcott turned in a particularly disappointing performance, completing only three passes in the first half and appearing virtually anonymous thereafter. His post-game words were hardly encouraging for his future as potential on-field leader: “[Palace] just wanted it more. You could sense that from the kick-off,” he told Sky Sports. Of course, Walcott’s comments are also indicative of the fact that long-serving manager Wenger no longer has the capability of motivating his players for – with the greatest respect to Palace – even the easiest of Premier League opponents. Towards the end of the 3-0 defeat, even the most patient of Arsenal fans had turned on the Frenchman, heckling the 67-year-old and urging the club’s board not to renew his expiring contract this summer. For his part, Wenger was apologetic to the visiting fans but typically defiant in defeat. “I’m disappointed and determined to put things right,” he insisted at his post-match press conference. With the Gunners now slipping to 13/2 in the Premier League betting to secure a top-four finish, however, the humiliating defeat has seemingly left their Champions League aspirations in tatters. Incredulously, some pundits, including The Mirror’s John Cross, have backed Wenger to sign a new two-year deal at the Emirates, citing owner Stan Kroenke’s blind faith in the Frenchman as well as Wenger’s desire to leave the club he’s managed for two decades on a high as reasons for his potential stay of execution. While Wenger has undoubtedly brought a lot of success to Arsenal during his 20-year tenure at the helm, the side are now seven points adrift of fourth-placed Manchester City – and even outside of Europa League contention. While an FA Cup triumph is still a possibility, even lifting the famous old trophy may not be enough to save Wenger’s job, with the defeat at Palace ultimately sounding the veteran manager’s death knell.